Over the past few years, more and more people have opted to raise chickens in their backyard. Cleverly built coops allow even those inside the city limits to raise their own poultry. However, this increase in chicken farming has now caused an "emerging public health trend." According to the Centers for Disease Control and Prevention, cases of salmonella poisoning have been on the increase. Why? "Poultry are acquiring a new position in many households," the CDC reports. "Instead of being treated as production animals, they are increasingly being considered household pets." Since chickens are being treated more like dogs and cats, their owners tend to want to cuddle and kiss them. This show of affection is actually causing people to get sick. According to the CDC, live-poultry associated salmonella affected 180 people in 2015. When owners get close to their chickens, they can easily contract bacteria that can cause illness. "Chick and duckling exposure were reported by 85 percent and 38 percent of case-patients, respectively," the CDC study reads. "High-risk practices included keeping poultry inside households (46 percent of case-patients) and kissing birds (13 percent). 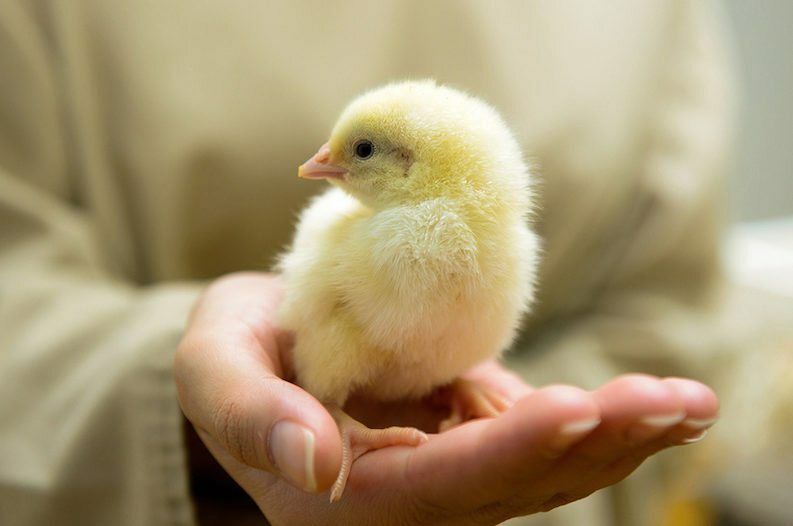 Comprehensive strategies are needed to prevent illnesses associated with live poultry." The Humane Society of the United States has released multiple statements asking chicken owners to keep them at a safe distance. This means keeping cuddles and kisses to a minimum, and always keeping them out of the interior of your home.